Can’t get enough pumpkin? Me either! I have found a great list of some of the most delicious pumpkin recipes around the web. There are so many pumpkin recipes out there this time of year, it can be hard to decide which ones will actually turn out great and which ones will flop. I’m a true believer that with a little pumpkin, cinnamon, sugar and eggs; anything can taste yummy LOL Here are a few of the best out there. Be sure to let me know if you try any of them and how they turned out. These are all from trusted bloggers who consistently produce great recipes! Go ahead and try them. I’m sure you’ll be glad you did. Everything sounds so delicious. I want to try that Sweet Pumpkin Bread!! A lot of these looks very delicious! I think it’s definitely the season for all things pumpkin which is great in some cases because using fresh pumpkin is not always possible other times of the year! You had me at EASY! I love yummy things that are quick and easy. Thanks so much! My teen son was just asking for me to make a pumpkin pie. I love these ideas. Sweet pumpkin bread sounds delicious would love to try that out alongside the smoothie! Cinnamon rolls in a pumpkin twist? I’m ALL about that! Yum! It all looks good. Those pumpkin pastries especially! That granola is totally going on my to-do list this week! Very nice recipes. I’m curious about the smores meet fall recipe! I love smores and a different version of it would be awesome. Oh my goodness! 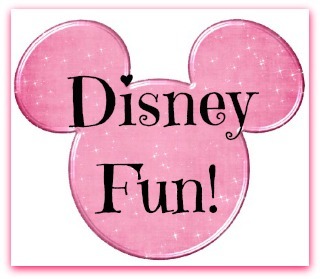 My kids would love this fun ideas! This is gonna be fun this coming Halloween. I’m so excited to do one of these. What a nice list of ideas for pumpkin!!! Love it! Thanks for compiling. Give me anything pumpkin!! Thanks for the great recipes! 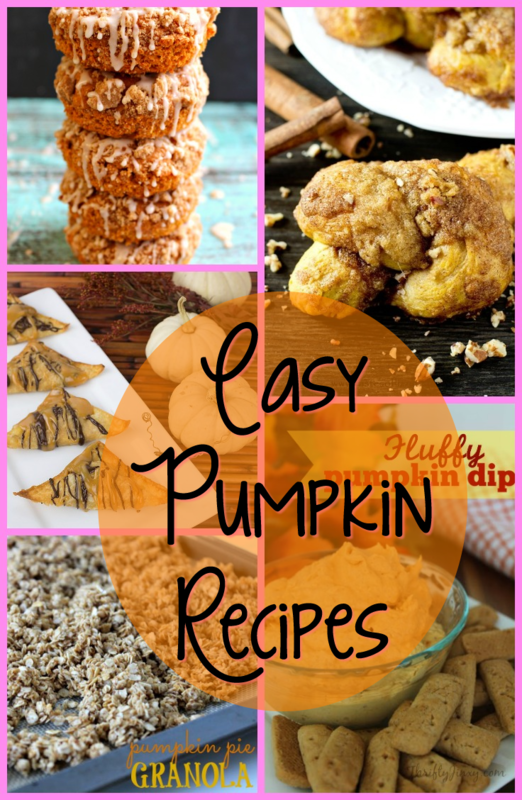 I love pumpkin and I want to try all these recipes. I want to start with the bread first. lol so much pumpkin yumminess!!! Totally pinning so I can try some of these out! In the UK pumpkin is a much feared cooking ingredient, literally none of us brits know what to do with one except carve it and put a candle inside. Supermarkets this year are selling pumpkin flavour ben & jerries ice cream, I really want to try it but its £5 a tub and pumpkin scares me a little. What does it taste like? I think I am going to be brave and try one of your recipes! They certainly do LOOK amazing!! sweet pumpkin bread during the fall is a favorite of mine. These look awesome! I just love baking with pumpkin. I love pumpkin everything! Thank you for sharing these. I think the first one I will try is the pumpkin spice wontons. I love making anything that has a wonton in it!